Reebok Men's Fleece Pants Just $19! Down From $45! Shipped! You are here: Home / Great Deals / Black Friday Deals / Reebok Men’s Fleece Pants Just $19! Down From $45! Shipped! 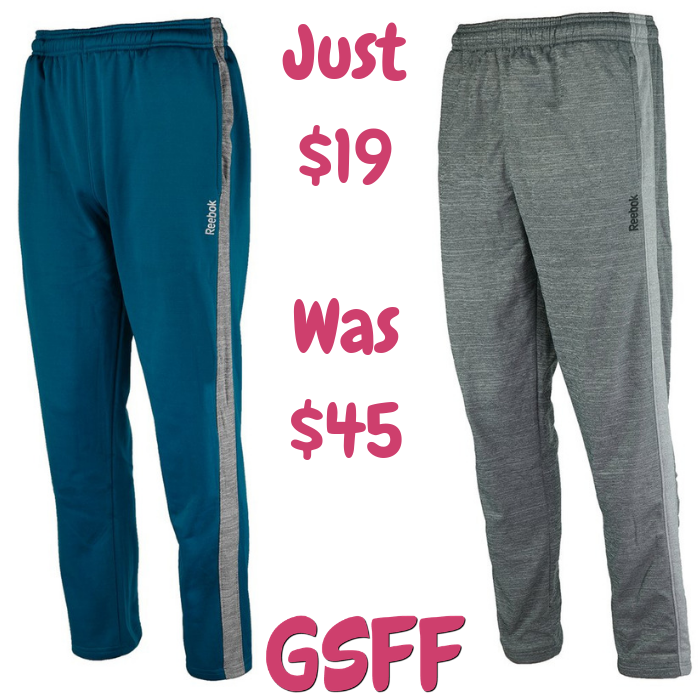 Reebok Men’s Fleece Pants Just $19! Down From $45! Shipped! Expires on November 24! Proozy.com is offering this Reebok Men’s Fleece Pants for only $19 down from $45 when you use promo code PZY19 at checkout PLUS FREE shipping! The Reebok Men’s Fleece are durable, comfortable and adjustable at the waist. The functional side panel holds your needed items while the Reebok name is placed at the lower left hip. It makes a great gift too!